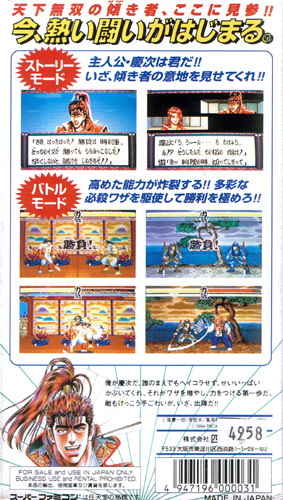 Very tasty one on one fighter based in ancient Japan on a manga that looks like a Samurai version of Fist of the North Star. 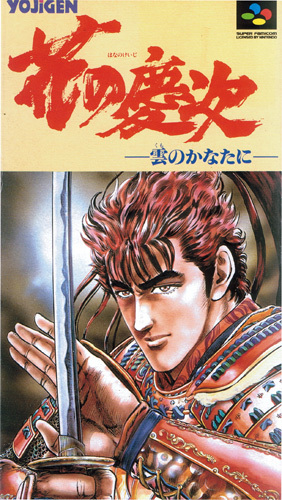 Keiji is well portrayed as the confident warrior from the manga series with a roster of well-designed characters such as the loyal samurai and the attractive, devote female Christian missionary. The backgrounds look straight off the set of Shogun. Brand new. Slight dent on reverse corner and top flap and light price sticker shadowing on the front top corner of box.